Le Verguier is a commune 16 kilometres north-west of St Quentin. 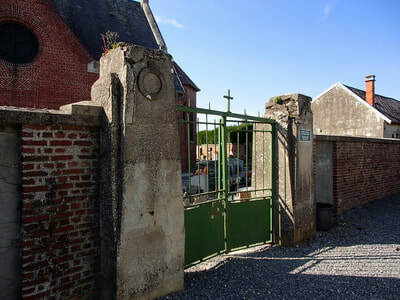 The Churchyard is beside the church, and the 3 Commonwealth burials are located near the left hand wall through the entrance. 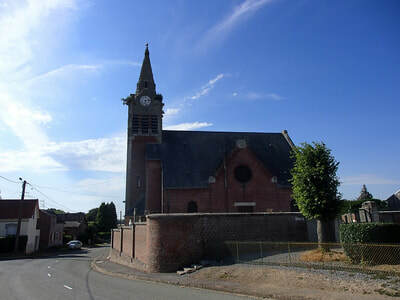 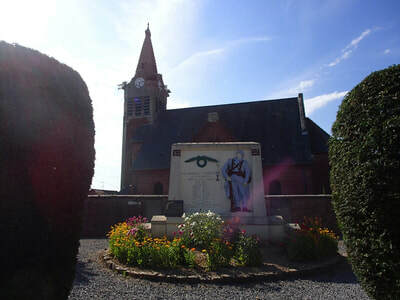 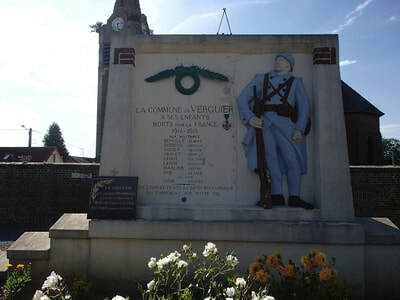 Le Verguier is remembered for the stand made by the 17th Brigade (24th Division) against great odds on 21 and 22 March 1918, in commemoration of which the 24th Division gave a belfry, with a peal of bells, to the new church. 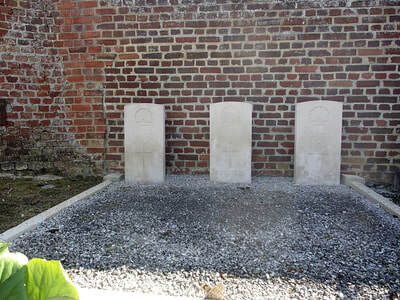 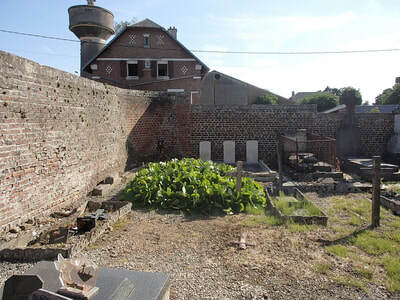 The churchyard contains the graves of three Commonwealth servicemen who died in September 1918, at or after the recapture of Le Verguier. ​Son of Maria and the late William Keat, of Mackay St., Wangaratta, Victoria, Australia. 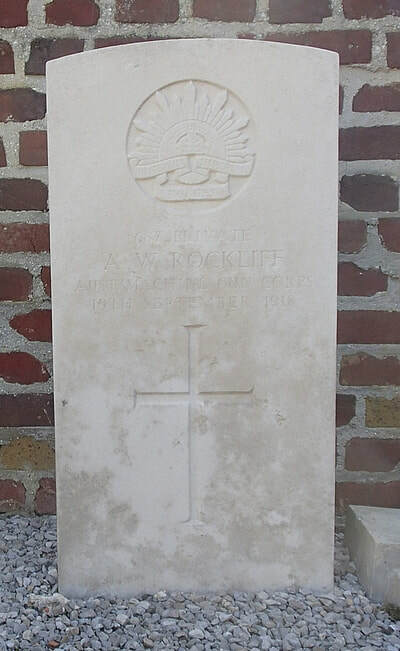 Born at Gundowring, Victoria. 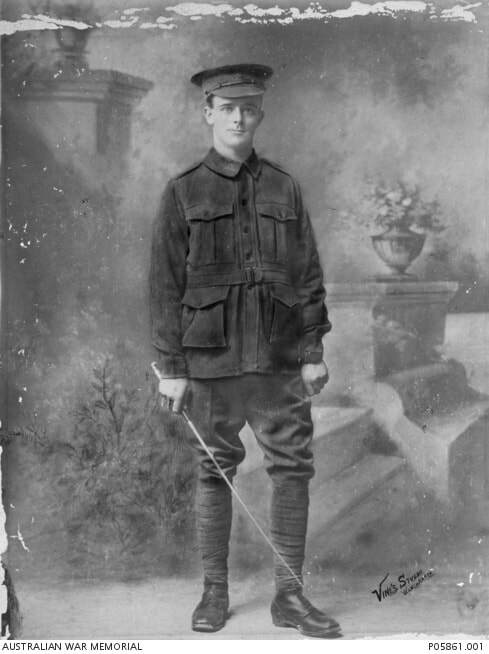 202918 Private Frank Pillsworth, 1st/5th Bn. 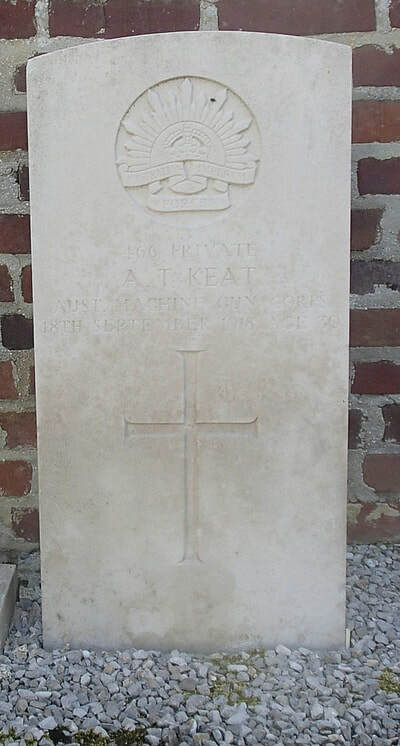 Border Regiment, died 29th September 1918, aged 29. 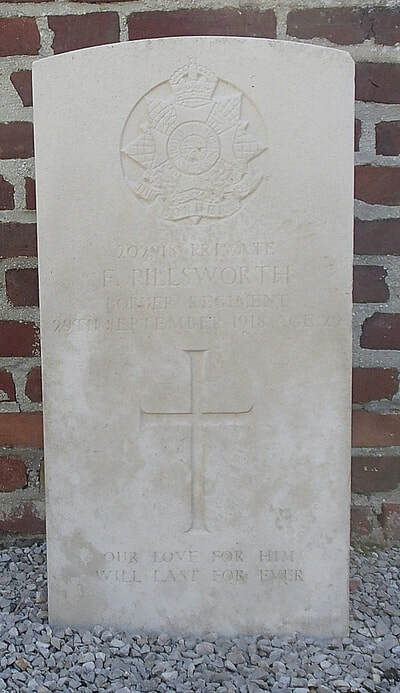 Son of Thomas and Sarah Pillsworth, of Burleigh, Brimscombe, Stroud; husband of Alice Louisa Pillsworth, of 3, Severn View, Middle Hill, Stroud, Glos.